Posted on January 21, 2019 January 22, 2019 by Tunes in T.O. Every Monday morning, you can find my weekly playlist here. Feel free to follow on Spotify, or let me know what you think. If you’d like to have your music considered, please email me at ryan@tunesinto.ca. Kicking off this week, I wanted to lead some good news for anyone reading who’s been unable to buy advance tickets for some of the shows I have posted about, due to them being sold out before my posts. On Friday, Collective Concerts announced that Death Cab For Cutie will be playing a show on June 20th @ Echo Beach, with support from Jenny Lewis. Tickets go on sale this coming Friday, January 25th at Ticketmaster, but if you can’t wait until then there are some pre-sales being done by Spotify, Collective Concerts and Indie88 that you could probably sign up for. Or you can always wait until Friday and go pick your ticket up at Soundscapes and Rotate This, and check out their Death Cab, Jenny Lewis or Postal Service vinyl offerings to prepare yourself for what’s sure to be a lovely evening of music. 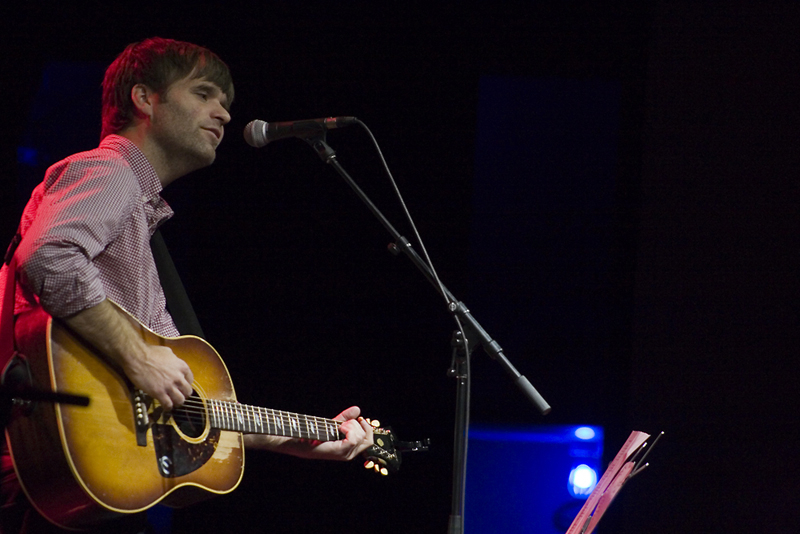 Here’s a photo I took of Ben Gibbard, frontman of DC4C, when he played solo at The Danforth Music Hall in October 2012. A couple of weeks ago, I showcased Sam Evian on the playlist, with his song “IDGAF”. This is just a reminder that he’ll be opening for Cass McCombs at The Horseshoe Tavern on March 11th. If hearing him didn’t convince you to pick up tickets, maybe Cass’ new song “The Great Pixley Train Robbery”, off of his forthcoming album Tip of the Sphere (out February 8th via ANTI- Records), will help. Seriously, you’re not going to get a much better double bill for $17.50. Then again, if you’re into female-fronted, guitar-driven 90s rock sounds, Julia Jacklin and Black Belt Eagle Scout could be more up your alley. Julia will be playing songs from her upcoming album, Crushing, which will be release February 22nd, while Black Belt Eagle Scout is touring their 2018 album, Mother of My Children. They’ll be making a stop at The Horseshoe Tavern on April 28th, and this one only costs $12.00 and should be worth every penny. Notice how the prices keep dropping! 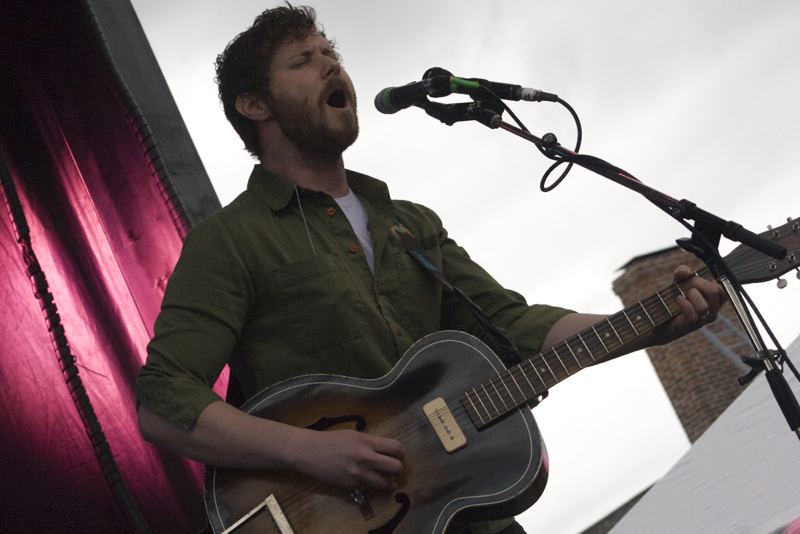 Continuing on that trend, Dan Mangan announced that he’ll be stopping in to Tiny Record Shop on January 30th for a FREE in-store performance at 6:00pm. I haven’t been to their new location yet, but can only assume they’re a little tight on space still, so you might want to get there early for that one, especially considering that his show the next night at The Danforth Music Hall is sold out. Speaking of sold out shows at The Danforth, Toronto’s PUP have not one, but two sold out shows there on June 7th & 8th. They’ll be playing in support of their forthcoming album Morbid Stuff, which is set for release on the band’s brand new label Little Dipper, in partnership with Rise Records/BMG on April 5. Since the release of Gemini in 2010, Wild Nothing has been one of the artists driving the dream pop genre, and they haven’t altered the formula too much in the albums since, including last year’s release, Indigo. One song cut from the release of that album, “Blue Wings” was released last week as a new single and though it does sound like a Wild Nothing song, I also can’t help but feel like it has a bit of a Cut Copy sound to it – which I like. Nothing new on the Cut Copy front as far as music or a tour, but their fellow countrymen POND have announced a new album, Tasmania, which will be released March 1st on Interscope Records. The album is said to act as a sister album to 2017’s The Weather, and they will be announcing tour dates later this year – likely after the summer festival dates played by Tame Impala, who the band shares some of its members with. None of those Tame Impala festival dates are here in Toronto, but if you want a similar sounding experience in the tighter environs of The Drake Hotel, be sure to check out Blac Rabbit when they come through town on April 2nd. Growing up in the “mecca of hip-hop”, Brooklyn, NY, identical twins Amiri and Rahiem Taylor were raised with a wider variety of musical influences, including 60s, 70s and 80s pop, funk and soul. The twins started out performing Beatles covers on the subway, and gained popularity one year ago this week when New York Nico, the “Unofficial talent scout of New York City,” posted this video of one such performance to his 120K+ followers on Instagram. The last year has seen the group’s popularity increase, including recording a cover of The Beatles’ “Michelle” for a Gucci ad campagin, and an appearance on The Ellen Degeneres Show. Look for them to play songs from their 2017 self-produced, self-titled EP, and likely some new material, as the band plans to release their debut album Interstella in the Spring. This is definitely a chance to catch this band on the rise, so make sure to pick up your tickets at Soundscapes and Rotate for $15.00ea. Shad and DJ T-Lo @ SCENE Fest (RIP) 2007. One documentary series that has been exploring the origins of hip-hop, and beyond, is the aptly named Hip-Hop Evolution. Hosted by Canadian Rap sensation Shad, the Peabody-winning series has done a thoroughly fantastic job of putting together a hip-hop historical timeline. It also does an effective job educating people not only on the music itself, but the socioeconomic factors surrounding the release of many of the genre’s staple songs. The four episodes that make up Season two were added on Netflix in the Fall, including the final two episodes that showcase New York artists, such as many of the aforementioned Brooklyn/Queens artists, and more. Based on where the series is at, it may be some time before we get to hip-hop outside the United States, but Shad himself can definitely take some credit for consistently being one of the best MCs north of the border in the last 10+ years. Last year saw the release of his 5th studio album (Six if you count his album released under the moniker, Your Boy Tony Braxton) A Short Story About A War, and though it clocks in at a tight 39 mins, the dense album demands multiple listens. He finished off 2018 with two nights at The Great Hall, so it might be some time before he returns, though I wouldn’t be surprised to see his album pop up on the Polaris shortlist this year. If you finish the eight Hip-Hop Evolution episodes, and are looking for something else on Netflix, Killer Mike (one half of Run the Jewels) has a new series called Trigger Warning With Killer Mike in which he aims to challenge the misconceptions of what it means to be black in America. I have only watched the first two episodes so far, with the first involving its host “living black” for three days. It showed how a positive thing like the end of segregation had a negative consequence on black businesses, and how difficult it is in society today to keep dollars circulating within the black community, where during segregation black people had to buy from their own communities. It ended with a strong message that in order to fight systemic racism and oppression, both black people and “allies” need to support black businesses, and each other. It definitely challenges the status quo, and I’m looking forward to checking out the rest of the episodes. I was introduced to Killer Mike through one of my all-time favourite artists, Outkast, and there is news on both Andre 3000 and Big Boi from this week. First, it was just announced that Big Boi was added as a performer at the upcoming Superbowl Halftime show. Performing along with the previously announced Maroon 5 & Travis Scott, it at least guarantees that Atlanta’s rich hip-hop legacy is represented, seeing as that’s where the Superbowl is being held this year. Going back to They Can’t Kill Us Until The Kill Us, do yourself a favour and read his essay “The Night Prince Walked on Water”, in which he gives his account of the greatest Superbowl Halftime show ever. Seriously, just check the book out. In other Outkast news, Andre 3000 popped up with vocals featured on the new James Blake album Assume Form, which was released on Friday. “Where’s The Catch?” is vintage 3 Stacks, with lyrics like: “Come with me, come with me, calming me down, Be chamomile, calamine lotion. Camel motion, humpin’ on the flo’ (Yeah).” The rest of Blake’s album is quite good and showcases how far he’s come as a producer since his first album in 2011. He’ll be at The Sony Centre, likely sans musical guests, on February 27th. Tickets can be picked up HERE. Now, as far as the biggest concert announcement last week, that would be the one made by The Who, who announced a new album and tour. They’ll be at Scotiabank Arena on June 1st, and tickets aren’t cheap. That being said, The Who were once the “loudest band alive” according to the Guinness book of records, or at least according to Sam Weir from Freaks and Geeks, in the clip from below. Though only one season long, the show did an entire episode dedicated to The Who, and it is one of the most memorable. Back to The Who, their new album is still unnamed, but will be released later in 2019. Also announcing a new album last week was Brian Jonestown Massacre. The new album will be self-titled, and released on March 15th (via Anton Newcombe’s A Recordings), but for now “Hold That Thought” is on here because it’s one of the songs I forgot to put on my end of year playlist. What a jam! For this week’s cover, “Bonnie” Prince Billy‘s album I See a Darkness just turned 20 years old this past Saturday. Released on January 19, 1999, the album was received very positively, with Pitchfork ranking it their ninth best album of the 1990s, and Mojo dedeclaring it the twentieth best album released during the magazine’s lifetime. The title track also caught the ear of Johnny Cash, who recorded a haunting version of the song, along with “Bonnie” Prince Billy singer Will Oldham doing backing vocals for his album American III: Solitary Man. Rounding out the playlist this week, is Strand of Oaks (the solo indie project from Tim Showalter) who dropped an early contender for song of the year. “Weird Ways” is the lead single from his forthcoming album, Eraserland (out March 22 via Dead Oceans), and it starts out sounding like a Ryan Adams song until building into a full on sonic tour-de-force. The sound can be attributed in part to My Morning Jacket, who, unbeknownst to Showalter, booked studio time to help him record songs that he never thought would see the light of day. If the rest of the album is anywhere near as good, I’m sure we’ll see it on plenty of end of year lists. A tour has been announced through May, though there is no Toronto date as of yet. Hopefully we get the second or third leg, because this feels like something you won’t want to miss. If they’d both come out about a month earlier, “Seventeen” by @sharonvanetten or “Weird Ways” by @Strandofoaks would have probably been my top song of the year. 2019 is going to be a good year. 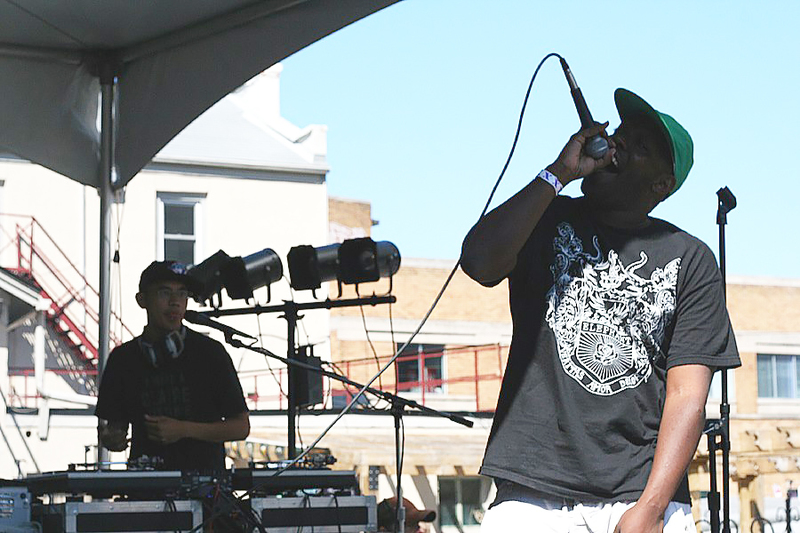 Next#TBT – Badbadnotgood & Ghostface Killah @ The Opera House. February 2015.